1.) Updated the Chapter Events Calendar. 2.) Updated the HOT Topics Box halfway down this front page. 3.) Added a picture/link to the Manna Café on the front page of the website. Click the picture to go to the Manna Café website an find out how you can help them, even if you can't volunteer your time. 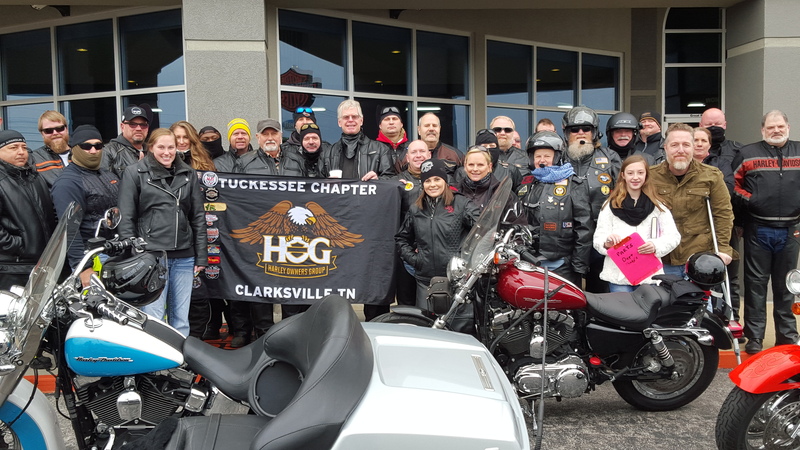 Chapter members braving the "freezing" cold of a January Tennessee morning for the annual, 2016, Chapter Polar Bear Ride to Elkton, KY.
Chapter members on the Armed Forces Day lunch ride. We would like to invite you to become a part of the Tuckessee Chapter, of the Harley Owners Group, and to take part in the many great activities scheduled each riding season. (Events include an annual picnic, dinner rides, monthly meetings, fun rides, pick-up rides, and state rallies, just to name a few). Our monthly Chapter meetings are usually held on the first Saturday of the month, at 6:00 PM, in the building behind Appleton's Harley-Davidson dealership. Our first hour, 6-7 pm, is a social hour, with our actual business meeting starting at 7 pm. The Harley Owners Group (H.O.G.) is dedicated to the use and enjoyment of Harley-Davidson motorcycles. The mission of H.O.G. is to: Ride and Have Fun Safely. 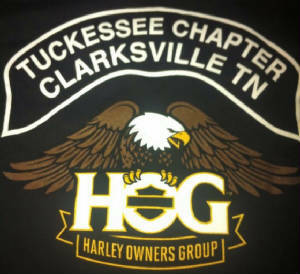 The Harley Owners Group® (H.O.G.) is an organization founded and sponsored by Harley-Davidson® Motor Company. The group was established to offer motorcycling benefits and services to Harley-Davidson enthusiasts throughout the world, and to develop a close relationship between the Harley-Davidson rider, the Harley-Davidson dealer and Harley-Davidson Motor Company. The opportunity to start an independent chapter affiliated with the Harley Owners Group is offered to bring members together for the common interest of promoting motorcycling activities. The goal of each chapter is to generate an increased level of enthusiasm for riding Harley-Davidson motorcycles. The (H.O.G.) Chapter, (is) a family-oriented and a nonpolitical organization. 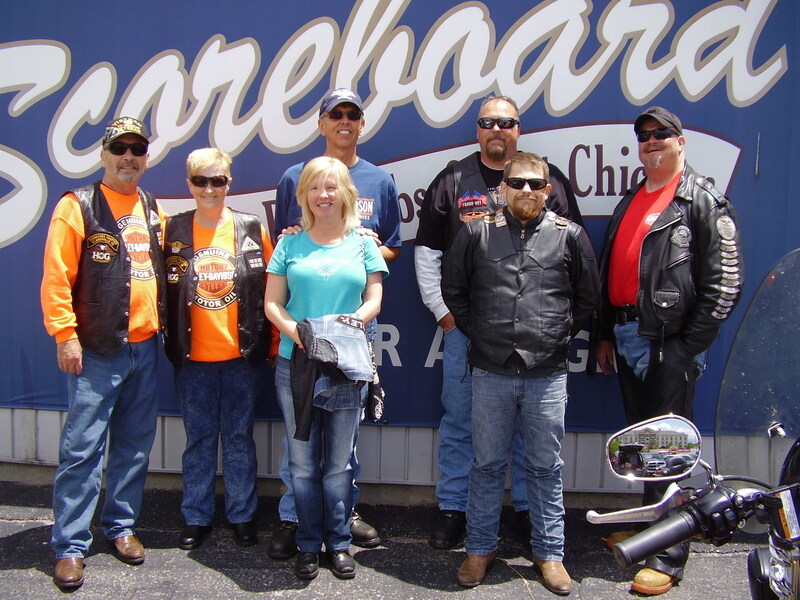 The purpose of the local chapter (is) to promote responsible motorcycling activities for Harley Owners Group members by conducting chapter activities and encouraging participation in other H.O.G. events. Chapter activities and operations (are) conducted in a manner consistent with a family-oriented, nonpolitical philosophy. So, bring your wife, bring your kids, heck, bring your Mother-in-Law (if you want to! ), and come join in the FUN! If you have RSVP'ed to Jason for the overnight trip to Milwaukee in July, he is now accepting payments. Also note, that he stills have 4 slots available for anyone else still interested in that trip. There has been a suggestion put forth to move our monthly Chapter meetings from the first Saturday of the month, to the second Thursday of the month. This is YOUR Chapter! Let your voice be heard! Use the Link at the top of the page to voice your opinion on the subject. I was asked, at the last Chapter meeting, if I could provide the ability for a Chapter member to post their own Pick Up Ride, without having to send it to me, which I had said, I would need a week of lead time to get posted. I originally said, that we didn't have that capability. Well, giving it a little thought, I MADE IT HAPPEN! You can now, post your own Pick Up Rides and they will be visible INSTANTLY to everyone else viewing this website! CHECK IT OUT! Click on the link, "Member's Pick Up Rides", in the navigation bar, on the left side of any page of this website, and see how easy, and INSTANT it is, to post your own Pick Up Rides! Note to EVERYONE visiting this site! PLEASE, go to our Chapter Guestbook and sign in! Chapter Members, PLEASE do this when you first visit here so that we can get an idea of how many of our members are actually using this site. To all other visitors, PLEASE sign our Guestbook and let us know that you were here! We would love to hear from you and know that you checked us out. To get to the Chapter Guestbook, click here, or use the link on the top left side of any page of this site.